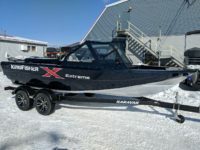 A KingFisher 1875 Extreme Shallow 18' Welded Aluminum Jet Boat. 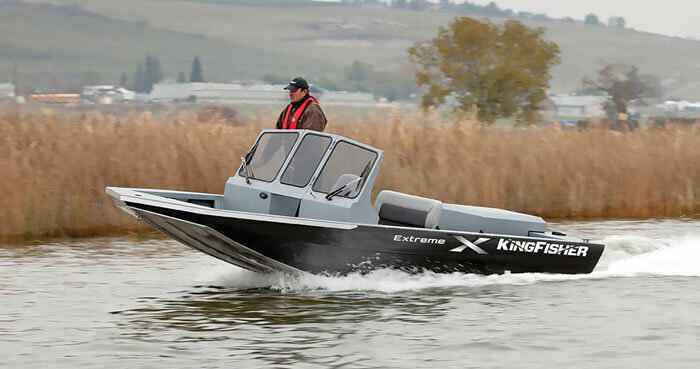 KingFisher is a very large manufacturer of welded aluminum boats for a variety of different use including: Offshore, Coastal, Sport, Multi-Species and River (jet) Boats. 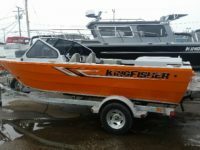 All KingFisher welded sportfishing and river jet boats are built in Vernon BC, where KingFisher has one of the most advanced aluminum boat building facilities anywhere in North America. These are excellent quality boats for a variety of outdoor pursuits including fishing, hunting and camping. With over 130,000 KingFisher boats produced since 1959 there is a very healthy used market out there. 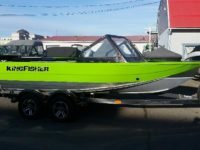 Stojan’s Power Sports and Marine Ltd. is a Kingfisher dealer located in Grande Prairie, Alberta.